When you want options, look to the Hyundai Sonata to deliver what you need. A variety of trim options make it easy to customize your vehicle to meet all of your personal preferences and needs. The Sonata enthusiasts at Bob Stallings Hyundai welcome the opportunity to demonstrate to you all of the unique features of this popular midsize sedan. While the base SE model offers an inline 4-cylinder complete with 185 horsepower and 178 lb-ft of torque, the premium Limited 2.0T boasts an inline 4-cylinder twin-scroll turbo engine that delivers 245 horsepower partnered with 260 lb-ft of torque. All trims come standard with the Drive Mode Select system. 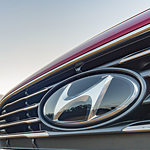 Hyundai continues to distinguish itself from its competitors with its premium safety features. All trims come standard with a blind spot detection and traction control system. The two Limited trims also come with lane keeping assist, automatic high beam assist, and automatic emergency braking.